Need a little help affording the new installation or replacement system you need? 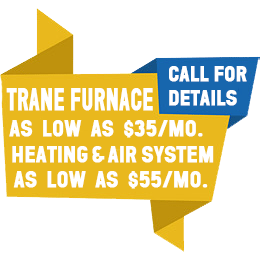 *First Get your FREE Estimate & then Apply for Special 0% Financing for New Installations & Replacement Systems. It's Time to Upgrade to a High-Efficiency Solutions? Considering purchasing new HVAC equipment while holding on to some of your funds? At Indoor Experts we make it easy with special financing offers. We have a wide range of financing options to suit many customer needs. Schedule your free estimate and learn more about our interest free, deferred interest and low monthly payment loans. Plus, whether it be a new construction installations or system replacements, we provide quality heating and cooling products along with great customer service to our customers. •36 MONTHS , ZERO INTEREST WITH EQUAL MONTHLY PAYMENTS - Financing available to well qualified buyers on approved credit at an 0% APR for 36 months, with equal monthly payments. You may prepay your account at any time without penalty. Financing is subject to credit requirements and satisfactory completion of finance documents. Any finance terms advertised are estimates only. Normal late charges apply. See your Truth in Lending Disclosures for more information.